Looking for an enjoyable and relaxing holiday? 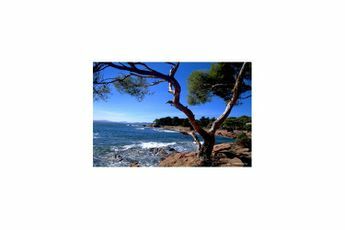 Look no further, the Douce Quiétude campsite is located at Saint-Raphaël (Var). Situated between Cannes and Saint-Tropez, on the Côte d'Azur, the charm of this mobile-home campsite's seaside location will rub off on you. The campsite's team will give you a warm welcome as soon as you set foot in the site, that is naturally decorated with pine trees, located less than 5km away from the beaches. On the site, there is a large waterpark with two swimming pools, a paddling pool and a 50m waterslide. Moreover, you can take make the most of an aqua-fun area, which is undercover and heated throughout the season, it includes water games and jacuzzis, to keep the whole family happy! During the summer, a complete entertainment schedule is there to keep you busy during your stay at the Douce Quiétude campsite. During the day, a kids club welcomes little ones for fun activities, whilst older members of the family can head towards sporting activities or the other leisure activities that are available. Clubs are set up to welcome children (aged between 6 and 12 years of age) and teenagers, with fun programmes adapted to each age group. Younger children can also enjoy the "Pitchout" area. This area, also to be enjoyed with parents, consists of a fun room specially adapted to your little ones! On the other hand, adults can enjoy an array of sports and leisure activities during the day, such as aqua gym, archery, etc. Various sporting facilities are also available on site to ensure as much variety during your stay as possible. You will have access to a multisports area, a tennis court, a gym... The miniature golf course also allows for young and old to come together around one activity, in a relaxed atmosphere. In the evening, the Douce Quiétude campsite's team offers high quality shows which take place around the pool. All the family can share a moment of wonder seasoned with fireworks, cabaret acts, pyrotechnic shows, medieval shows,... If you still aren't ready for sleep, the club's doors open at 11pm, giving you even more options to occupy your nights! With cycle tracks running near the campsite, you can hire bikes and explore the neighbouring area! In doing so you can enrich your stay with other activities available nearby, such as horse riding (stables located 4km away), golf (course located 3km away), hiking (3km away) or water sports (5km away). Leaving from the West, join the A8, turn off at exit 38 "Saint Raphaël". Welcome to a heavenly area. 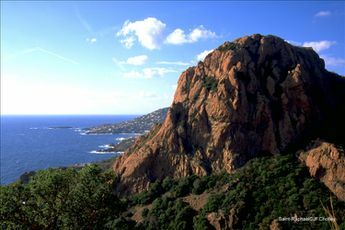 The Lérins islands and Cannes bay extend beyond Agay bay. Cap Estérel village runs along the hills that dominate the bay's skyline. We suggest you take a tour of the Cap du Dumont which takes an hour and a half. 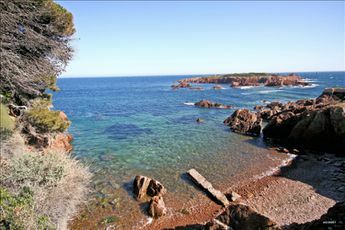 Agay is a perfect base for discovering the Esterel mountains, on foot, mountain bike or horseback. 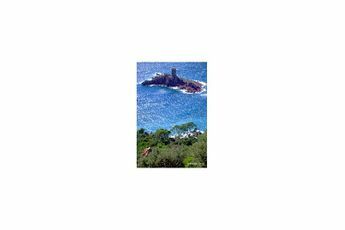 Just opposite the beach, the Ile d'Or is said to have inspired Hergé and his cartoon "Tintin and the Black Island". Agay is home to a marina. 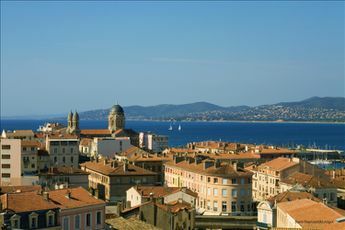 Not far away from there, Saint-Raphael is a charming seaside town that is welcoming to tourists. 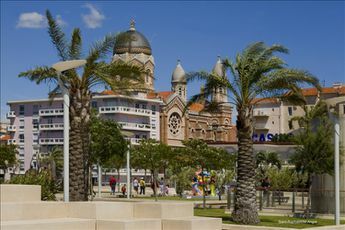 The old Roman town of Fréjus combines the traditional vestiges of that era and tourist activities. The lakeside city of Port-Grimaud and the old village will undoubtedly seduce you. 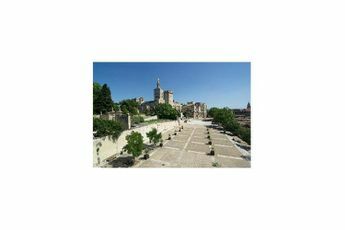 From there, you can head off to discover the Maures mountain range. Sainte-Maxime, the biggest town in the gulf of Saint-Tropez, is home to a pretty marina and fishing port, and a lovely town to relax in. A golf course is also available there. 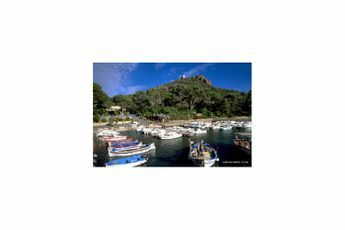 Amongst the other selling points attributed to Sainte-Maxime, we must mention its gramophone and mechanical music museum which is home to over 300 musical instruments, and the Tour Carrée and its museum of local traditions. And, if you are not already familiar with it, go to admire the old port of Saint-Tropez and its typical hustle and bustle. And why not let yourself be tempted by an induction to diving or a round of golf. Opposite, Cannes is a little over an hour and a half away. 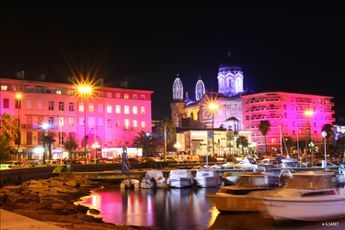 In this town famous for its film festival, you can just as easily relax on the Croisette or visit the Castre art museum, located in the heights of old Cannes in the old medieval castle which towers over the town, the bay and the Lerins Islands. 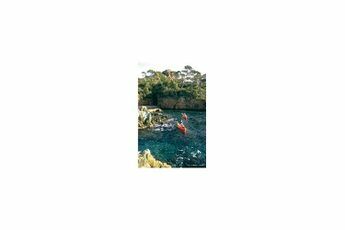 Cannes also hosts a number of parks which provide a lovely backdrop for relaxation.